Christopher Samba has flown to England to discuss personal terms after QPR triggered a release clause in the Anzhi Makhachkala defender's contract. The 28-year-old former Blackburn defender left his team-mates at the Russian club's winter training camp in Spain to discuss the potential move. QPR's offer, understood to be more than £10m, has forced Anzhi's hand, although they are reluctant sellers. Redknapp is also pressing ahead with plans to sign Stoke's Peter Crouch. Anzhi head coach Guus Hiddink admitted he was disappointed to lose Samba. "It's not a very good situation," Hiddink told Russian newspaper Sport Express. "Samba was with us during this season, began preparations for the winter training camps and suddenly this opportunity arose with an English club. Yesterday he left for England. Unfortunately we didn't even have a chance to say goodbye to him. Everything has developed very quickly." 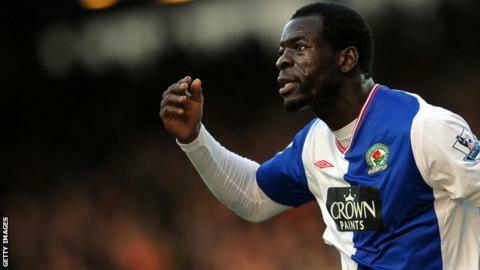 Samba left England in February 2012 when Anzhi agreed to pay Blackburn £12m, amid interest from Tottenham, Redknapp's former club. With Ryan Nelsen set to leave Loftus Road to manage Toronto FC, and Anton Ferdinand moving to Turkish club Bursaspor on loan, QPR have been desperate to sign an authoritative central defender with Premier League experience.